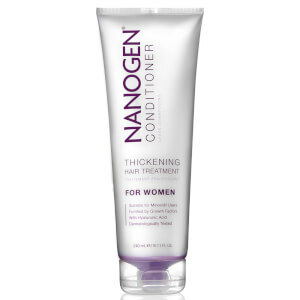 This Thickening Treatment Shampoo for Women by Nanogen is designed specifically for thin hair and works to give your hair a fuller look and feel. Fortified with Hyaluronic acid, which works to thicken hair from the first wash, this shampoo boasts a fresh berry fragrance to ensure your hair smells just as good as it looks and feels. Giving your hair a deep, nourishing cleanse as well as working to thicken, this multi-tasking shampoo will leave your locks super shiny, with a silky texture and a fuller, more voluptuous body. 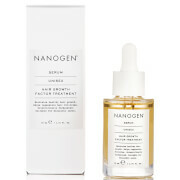 A must have for your haircare regime. K.D. Rinse thoroughly after around a minute. 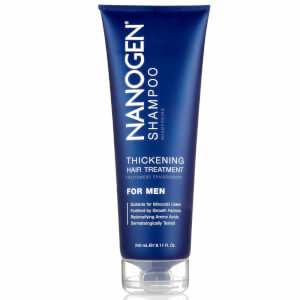 Optional: Follow with Thickening Treatment Conditioner. For best results, use every time you wash your hair. I've been using this shampoo for the last coupe of months and I really like it. It has a nice fresh scent, foams up just the right amount and leaves the hair soft - unlike most hair-growth promoting shampoos. Great price for what you're getting! I've tried many hair thickening shampoos & this is the only one which has worked long term without drying out my thin dry hair. Got my parcel really quick and purchase on-line was easy, keep it up! I am really impressed with this shampoo, it really thickens my hair after the third wash. Also, it makes my hair softer and smells great. I've recommended to my family and friends, will definitely buy it again! Liked this shampoo from the first time I used it. Seemed to make my hair more manageable and I did feel it looked thicker. Would definitely recommend it and will buy it again. 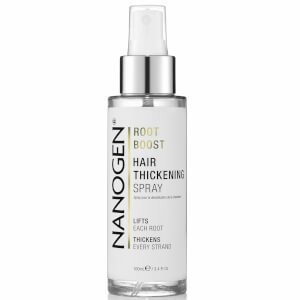 So far found this leaves my hair in better condition, medication causes my fine blonde hair to become difficult at times, unfortunately I re-ordered by mistake and then the first order arrived! Did not bother to return in the hope of continued improvement. Waiting to see further results, have tried various other shampoos for fine hair and take supplements sometimes.